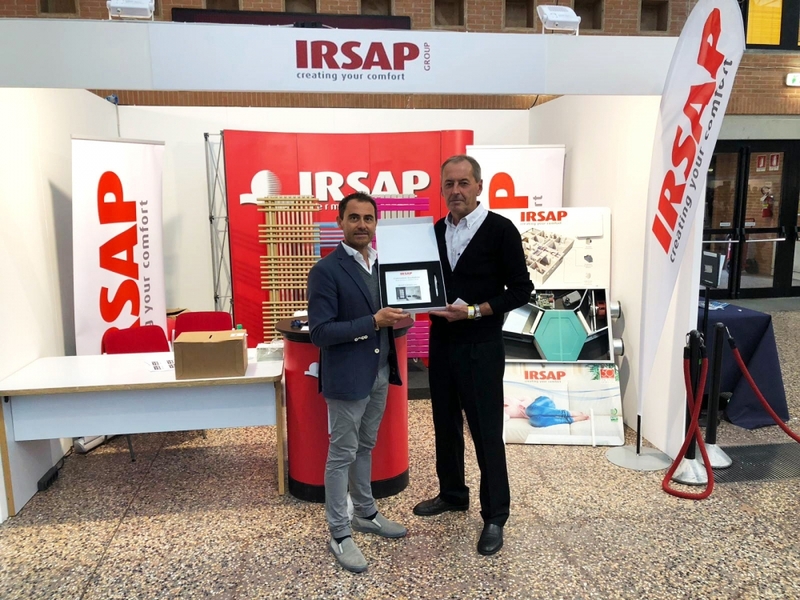 IRSAP participates in the meeting promoted by Arcobaleno as the anniversary of its 20 years of activity. Great adhesion of the consortia associated with Arcobaleno that allowed to see 500 installation companies present at the event. IRSAP present with all its products. Great interest in the innovative solutions dedicated to controlled mechanical ventilation that were presented by IRSAP. Among all the visitors to the IRSAP stand, a prize was taken (beautiful radiator "Soul") won by Mr. Massimo Minotti of the company DUE EMME of Cesena.